Roberto arrived at CVAS in late May 2018 infested with ticks, he had an upper respiratory infection, and conjunctivitis in his eyes. We had to throw away all of the bedding he came in with because they were filled with ticks, ticks, and more ticks. After removing all of his parasites on the day he arrived, he still had a lot of recovery to do. 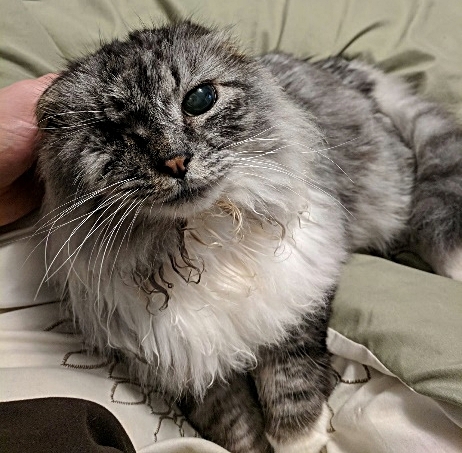 It took a couple of months for him to heal from his upper respiratory infection, and he required eye surgery because his eyelashes were growing inward into his skin (poor boy!). Throughout his healing process he was still incredibly sweet and loving, and won over the hearts of a mother-daughter pair of CVAS volunteers! They took him home in late September, and as you can see he is doing very well. Fuzzy Bear is a beautiful Chow who was rescued from deplorable circumstances on 3-7-14. She had been kept in a broken down old car on a remote property, and had become reliant on having a small space to hide. At the shelter, she gradually started to lose her fear over many months, but she would shy away from people, especially new visitors, by retreating into her dog igloo. Lots of patient time was spent with her, brushing and talking and hand-feeding to try to get her to open up to people. As sweet as she could be with staff, when someone new would come to see her, she would hide, resulting in her sweet nature being overlooked. We were able to transfer her to a partner in Spokane on 8-31-17 who was made aware of her special circumstances. She was happily adopted not long after her arrival. Maria arrived at the shelter on 10-23-15. She had to have an eye removed and was diagnosed with advanced glaucoma in her remaining eye. She got along very well and made the entire office her home for many months. She was transferred to our wonderful partner The Whole Cat and Kaboodle on 3-24-17, where she was adopted shortly after arriving. 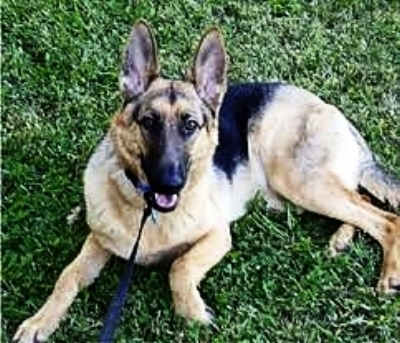 We recently received an update from her owners saying that she has adjusted very well and has a furry friend who she enjoys snuggling in bed, and even has pet insurance. Lucy, Conan and Brian were feral/homeless siblings who were trapped and brought to a foster home on 9-14-17. They were provided with medical care and a patient fosterer who socialized them before we transferred them to a partner group in Seattle called the FAF, on 12-16-17. 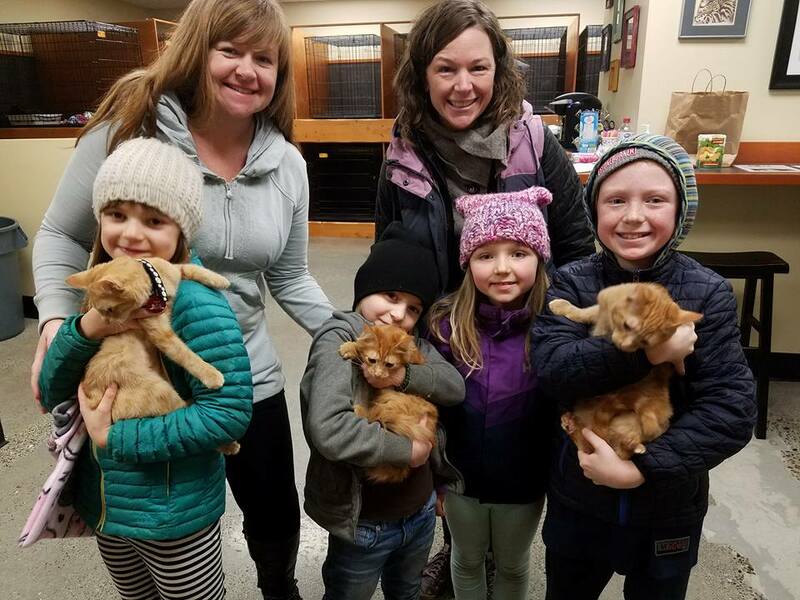 They were adopted to loving homes on 12-30-17. Captain was a TNR adult who arrived VERY cranky and in need of lots of medical care on 6-8-17. He was badly matted and had to be shaved. He had to have an eye removed and dental work performed. After his surgery, a course of medication and time to heal, he became one of the sweetest cats I have met since working at CVAS. Believed to be deaf and blind, he was overlooked by adopters but our wonderful partners the FAF took him in on 8-6-17. He was placed into a foster home, and was adopted a couple months later. Peaches (on the right) was brought to us on 1-6-17. She was surrendered by her owner, an older individual who could no longer keep up with her. Peaches was at CVAS for only a few days before the right person came along and adopted her. She now has freedom to roam with a friend her own size. Timothy was a stray cat who was caught up in a TNR situation and brought to us on 8-11-17. He was so VERY scared of people that he would hide in the corner of his kennel and not even come out for food until he was sure he was alone. We kept telling him how handsome he was, and he had such gentle eyes, we didn’t think he was “feral” as presumed. He came along nicely and after transitioning into a community room, he would greet me in the morning by rubbing against me and meowing for his breakfast. On 11-16-17, he was transferred to a partner in Kent, where he was promptly adopted. Annie was an excitable young girl with fearful behavior who arrived on 2-7-17. She had submissive urination issues, and would have little accidents inside. But she was playful and eager to learn. We worked with her at the shelter until 5-02-17 when we were able to transfer her to a partner in Spokane. She was swiftly adopted to a young gentleman who later started training her to become a service animal. Goldie arrived at the shelter as a surrendered kitty from an older woman no longer able to physically care for her. She was very temperamental and would swat at people, resulting in scratches, and then hiding in a box for most of the day. After some time we transitioned her into a community room with other cats, where she was able to receive more socializing with people, and learn from the other cats that people are ok. She slowly became more and more friendly and she was able to be transferred to The Whole Cat and Kaboodle on 11-12-17 and was adopted on 12-30-17. Sammie arrived on 8-7-17 after her owner had taken her to a local vet to be euthanized. The vet’s office told her to come check with CVAS before taking such action. Sammie was the greatest escape artist CVAS has seen, and did not want to be contained in any of the kennels we have. As a CVAS staff member said goodnight to Sammie that first evening, Sammie laid her head on the person's chest and looked up into her eyes with such gentleness that our staffer immediately fell in love. She and her husband adopted Sammie 3 days later. She is very loved and spoiled, even being included in the family Christmas card. She is now receiving the patience and training she so desperately needed, and is a wonderful dog. Anna was brought to CVAS as a nameless puppy who was the runt of the litter. Her two brothers were much bigger, and used it to their advantage. In the car with a transport volunteer, her brothers barked and whimpered and pushed Anna around. Anna just stared at the rear view mirror, trying to catch this human's eye--and she did. This human could not take in another dog herself, but knew her grandparents had just lost a member of their pack and that Anna would fit in perfectly. She could not bring herself to leave this puppy, and instead introduced Anna to her grandparents. It was love at first sight for everyone, and Anna is happier than she ever dreamed she would be. Carmella came from the same home as Goldie, and was even more openly dissatisfied with being at the shelter. She would spit and swat at people, growling her warnings the whole time her kennel was being cleaned. After she was moved into a community room with Goldie, she slowly became patient with the people around her. An occasional quick pet on the back developed to where we could pet her and reassure her of how beautiful she was. She was transferred along with Goldie to the Whole Cat and Kaboodle on 11-12-17 and was happily adopted on 12-17-17. Coming to CVAS after being discovered in a community garden, Barbie was both super hungry and shy. Feeling that she would do better in a foster home with quiet, one-on-one time, she went home with a volunteer dedicated to give her everything she needed to be able to thrive and find a forever home. Sure enough, some quality time and a steady source of food and affection brought Barbie out of her shell. Feeling that she was ready for adoption, she was returned to the shelter and was only here for a couple days before finding her family. As you can tell, both her and her special human are very happy together. Arriving in July of 2018, Bob was from a unique situation. He had two feline room mates in an apartment, all to themselves. With indoor/outdoor access and a caretaker who would routinely feed them, they were missing one critical thing… a loving owner to spoil them with daily attention. Bob loved to talk to us about his adventures in life, and informed us of his special needs, of which we cared for and treated the best we could, until FINALLY the right adopter came along. He was adopted March 6th 2019 to a kind woman already devoted to providing him with the best care possible. A sweet kitten with lots of personality, Hercules was an attendee at one of CVAS’s Adoption Events at our PetSmart partner store in Spokane in September of 2018. He is seen here with his adopted brother, who has welcomed him to the family with open arms.